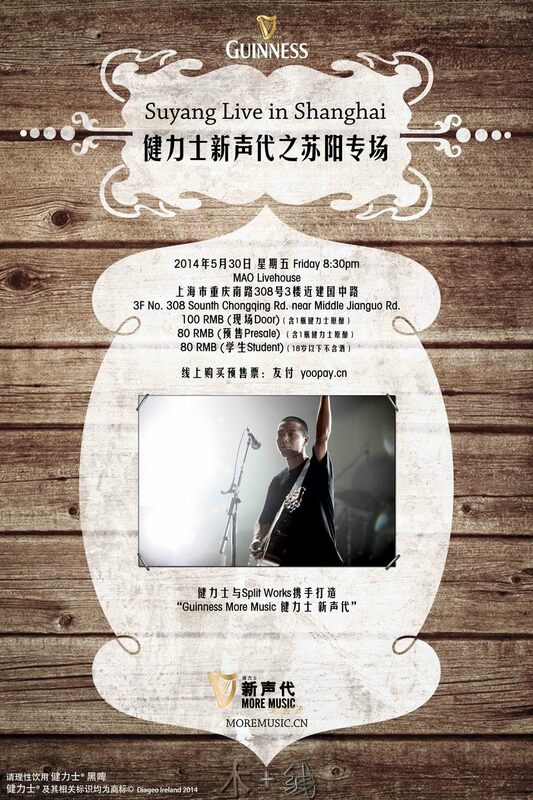 健力士新声代之苏阳专场 GUINNESS More Music: Suyang Live in Shanghai - 2014年5月30日 星期五 20:30 至 23:30 - MAO Livehouse，重庆南路308号（近建国中路） // 3F no. 308 South Chongqing rd. nr Middle Jianguo rd. 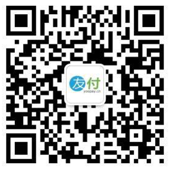 MAO Livehouse，重庆南路308号（近建国中路） // 3F no. 308 South Chongqing rd. nr Middle Jianguo rd. 2014年5月30日 星期五 20:30 至 23:30 MAO Livehouse，重庆南路308号（近建国中路） // 3F no. 308 South Chongqing rd. nr Middle Jianguo rd. MAO Livehouse，重庆南路308号（近建国中路） // 3F no. 308 South Chongqing rd. nr Middle Jianguo rd. MAO Livehouse，重庆南路308号（近建国中路） // 3F no. 308 South Chongqing rd. nr Middle Jianguo rd. Always bringing the freshest recommendations in folk for China’s new generation, GUINNESS More Music ushers in a unique voice from Ningxia on May 30 at Mao Livehouse Shanghai. Suyang brings a blend of rock, folk, Shaanxi Opera, and other musical styles from China’s Northwest region to Shanghai for fans to experience. GUINNESS launched the first “Arthur Day” in 2009 to commemorate its founder, Arthur Guinness’ birthday and invited artists to sing on the same stage. China now inherits the tradition of GUINNESS’ Arthur's Day, and since September 2013 has been creating a series of musical performances and events promoting the “new generation of sound.” GUINNESS prides itself in supporting emerging folk music to bring a new live music experience for China's beer lovers. At the age of eight, Suyang started living in the Northwest Chinese city of Yinchuan. There he was influenced by local traditional folk music and local opera style. At age 16, he began playing guitar and joined a ban which broadened his musical horizons as well as giving him live performance experience. After the release of his first album Xian Liang in 2005, Suyang gained popularity from fans and critics alike. Suyang received positive reviews from the Chinese rock magazine Tongsu Gequ CCTV, and also received several Chinese Music Media Awards. Suyang went on to put on shows at major events like the Beijing Midi Music Festival, the Shanghai World Expo Music Festival, and music festivals in Lijiang, creating an even larger fan base for Suyang. Although largely successful Suyang has not let his recent fame influence his musical style. In 2010, he released a second album in 2010, Xiang Cao Yi Yang which continues his musical characteristics without any commercial erosion. If you have the courage to seek a path different from the rest, then come May 30 to see GUINNESS More Music showcase "Voice of Ningxia”. A show not to be missed! Address: 3F no. 308 South Chongqing rd. nr Middle Jianguo rd. GUINNESS, the world’s number one stout with a legacy that spans over 250 years, is proud to present More Music - a series of concerts and festivals curated to showcase China’s growing independent modern folk movement. Against the backdrop of a music scene heavily influenced by the mass media and foreign popular culture, modern folk music is gaining a following for its authenticity, deeper lyrical content, advanced musicianship, and synthesis of traditional and historical influences. The rich lyrical content and eclectic sounds of some of China’s most innovative and experimental music provides a perfect pairing for the big, bold flavor of GUINNESS. Globally, GUINNESS celebrates music through Arthur’s Day, an annual commemoration of Arthur Guinness, the father of the brand. Well-loved musicians pair up with up-and-coming artists on international stages from Dublin to Singapore, London to Kuala Lumpur, to provide fans with a remarkable and unforgettable experience. Celebrity musicians from years past include The Black Eyed Peas, The Script, Ed Sheeran, Brandon Flowers and Ellie Goulding. Today, GUINNESS® is bringing this tradition to China by partnering with independent music promoter Split Works, to bring music that is Made of More.